Description: Set in Galveston, Texas, Galveston 1900: A Storm, A Story of Twin Flames is the story of Uri Petrokov, a Russian immigrant, and Genevieve Parker, a beautiful, independent- thinking young Texas woman who is far ahead of her time. As successful as Uri has been partnering with his brother Peter in the print business and thus living the American Dream, Uri remains, none the less, unfulfilled until the day Genevieve walks into the shop. The struggles the young couple endure to be together including prejudices in the community- and more agonizingly in Genevieve’s own family- test the very limits of their being and love. Meanwhile, another storm is brewing, quite literally. 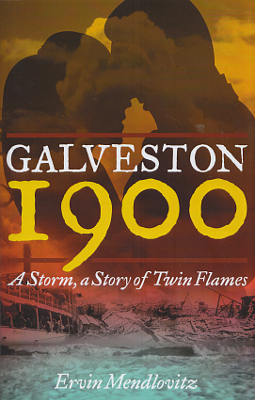 On a Saturday in 1900, Galveston is taken by complete surprise when a hurricane unexpectedly devastates the port city, nearly sweeping it from the face of the Earth. The resulting cataclysm, an intersection of personal and communal tragedy, changes the young couple’s life forever. 210 pages. Viewed: 2,124 times since August 6, 2014.